Ceramic artist Atsushi Tomoyose’s uniquely shaped coffee cup is among items now on exhibit and sale at Nishimui Art Gallery through Feb. 10. 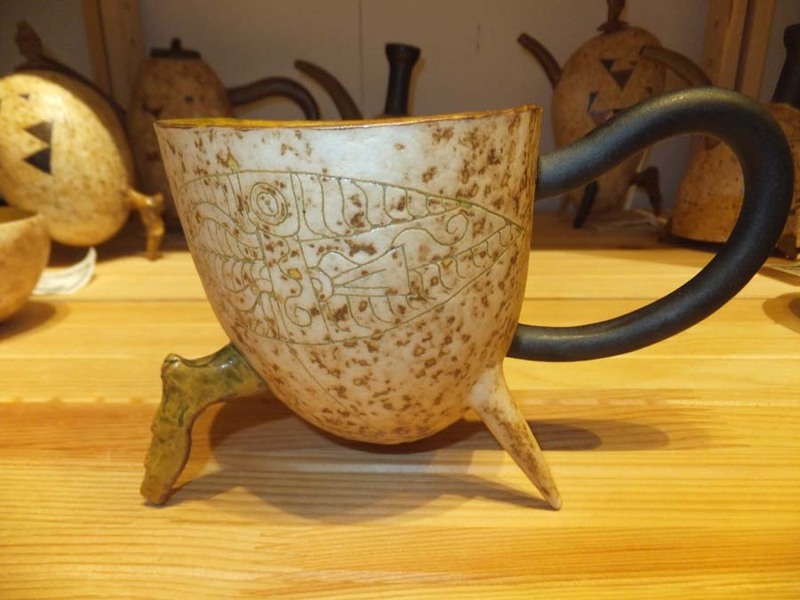 As ceramist Atsushi Tomoyose views the world, there’s plain or regular ceramics, and there are the special ceramics that involve geometric patterns and special, original styles. He should know, because he’s been in the ceramics business since childhood in Yambaru, Kunigami Village where he first began conjuring up unique, original patterns while playing. 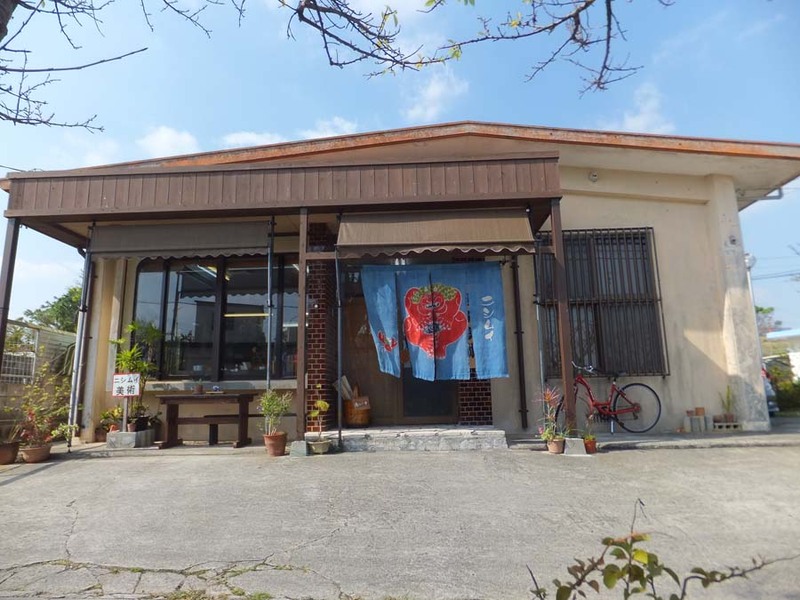 He progressed to the University of the Ryukyus, and then on to ceramic art school in Aichi Prefecture. Decorations on this vase are typical of Tomoyose’s art. The exhibition is open daily except Monday in January, 11 a.m. ~ 5 p.m., and every day except Tuesday in February, 11 a.m. ~ 5 p.m. Admission is free. Driving instructions to Nishimui Gallery are easy: Take the Okinawa Expressway south towards Naha Airport. Get off at Kochinda Minami (South) interchange and turn left onto Tsukayama bypass (route 507). Drive towards Kochinda where you turn right on road number 77, and continue another 600 meters until you pass Cosmo gasoline stand on the right. The gallery is right after the gas stand on the right side of the road. 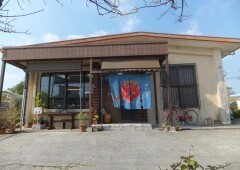 Nishimui Art Gallery in Kochinda.